Elastic Suspension for studio condenser microphones (i.e MCO series). 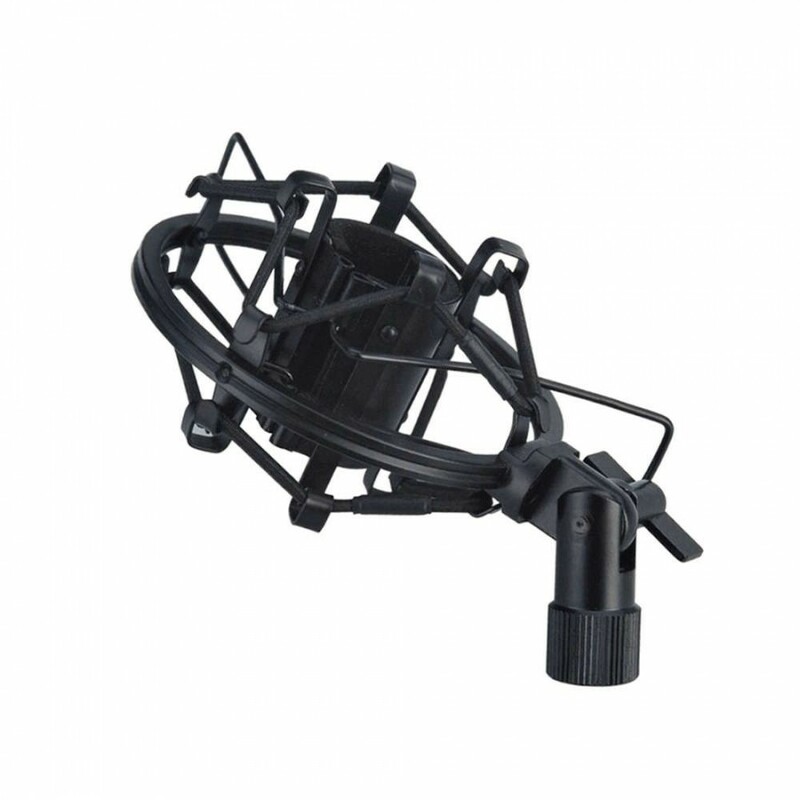 Isolates the microphone from strong mechanical vibrations caused by floor-borne shock waves. This special mount-clamp features a 5/8″ female thread swivel adaptor including a 3/8″ thread reducer to fit any tripod stand.